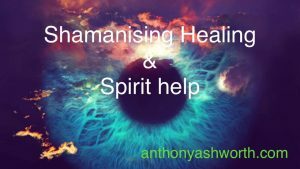 Anthony Ashworth is an experienced Shamanic Practitioner who offers a range of Shamanic Healing services including energetic cleansing, soul retrieval. power animal retrieval and establishment, curse removal and ancestral healing. 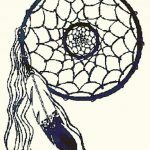 See also ~ Land Clearing and Space Clearing &amp; Spirit walks for more shamanic services. Taki Sami (a Kichwa word from South America) meaning (((sound pulse))) is sound vibrational healing methods using musical instruments, such as frame drum, bells, click sticks, chimes, flutes, plants, bamboo or bones, shell, rattles, tuning forks as well as chants, voice, Mantra and much more. It may also include clearing of and extraction of negative energies. Each instrument’s frequencies penetrate deep into a specific part of our physical, emotional and spiritual bodies. It vibrates your bones and each of your body’s organs, cells & even DNA removing and releasing blocked energy, fears and traumas, and letting the energy flow again in harmony. This sound vibrational healing is combined with smudging, feathering, crystal healing and Shamanic Reiki and shamanic seeing of issues that may be present. 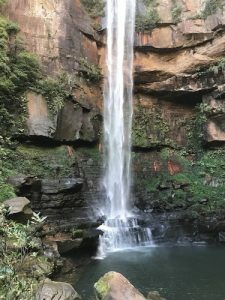 Anthony is one of a small handful of shamanic practitioners in Australia who is experienced in and does soul retrievals. Before a soul retrieval, I advise that a full shamanic energetic cleansing should be carried out, to allow you, the client to be ready to receive the return of your lost peace and lost pieces. And then importantly welcoming that piece back into your life and holding it and integrating it fully. We can not fully heal is we are not whole when a piece of us is missing. Whenever we suffer an emotional or physical trauma a part of our soul flees the body in order to survive the experience. The definition of soul that I am using is our essence, life force, the part of our vitality that keeps us alive and thriving. And what might cause soul loss in one person might not cause soul loss in another. “The types of trauma that could cause soul loss in our culture would be any kind of abuse sexual, physical, or emotional. Other causes could be an accident, being in a war, being a victim of a terrorist act, acting against our morals, being in a natural disaster (a fire, hurricane, earthquake, tornado, etc. ), surgery, addictions, divorce, or death of a loved one. It is important to understand that soul loss may have been essential even a good thing that happens to us. It is how we survive the pain. If I was going to be in a head-on car collision, the last place that I would want to be at the point of impact is in my body. Our psyche cannot endure that kind of pain. So our psyches have this brilliant self-protection mechanism where a part of our essence or soul leaves the body so that we do not feel the full impact of the past, abuse or loss. In psychology, we call this disassociation. But in psychology, we don’t talk about what disassociates and where that part goes. In shamanism, we understand that a piece of the soul leaves the body and goes to a territory in what shamans call nonordinary reality where it waits until someone intervenes in the spiritual realms and facilitates its return. There are many common symptoms of soul loss. Some of the more common ones would be dissociation where a person does not feel fully in his or her body and alive and fully engaged in life. Other symptoms include chronic depression, suicidal tendencies, post-traumatic stress syndrome, immune deficiency problems, and grief that just does not heal. 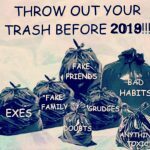 Addictions are also a sign of soul loss as we seek external sources to fill up the empty spaces inside of us whether through substances, food, relationships, work, or buying material objects. Anytime someone says, I have never been the same since ….. a certain event and they don’t mean this in a good way, soul loss has probably occurred. Today there has been a resurgence in the interest of the practice of shamanism. It is interesting to note that as soul loss was so understood in shamanic cultures people who suffered traumas were given a soul retrieval within three days after a trauma occurred. 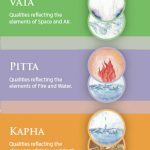 Today, as we have not been practicing soul retrieval modern-day practitioners, are going back ten, twenty, thirty, or forty years or even more looking for lost soul parts. Also in a shamanic culture, the individuals knew what was out of balance in their lives that might have caused an illness or issue to occur. In our culture, we are unaware of what is out of spiritual harmony that is creating illness. And because often our soul loss happened so young we are unaware of the unconscious patterns we are living out due to our first experience of soul loss. We are always trying to retrieve our soul. And how we do this is by repeating the same trauma over and over again. The names might change of the people involved in our life story, but the story is often the same. The effects of having a soul retrieval vary from person to person. Some people feel that they are more grounded in their body and feel more solid. Some people feel lighter and a joyful way of being returns to them. For some memories of the past traumas might be triggered bringing up a variety of feelings that must be worked through. And for some people, the effects are too subtle to notice a change until further work to integrate the soul is done. A power animal retrieval can be conducted in person or on your behalf long distance or via Skype or face time. 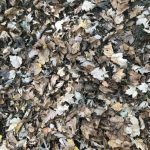 A Power Animal (personal guide) retrieval is a shamanic method used to connect us to helping spirits that show themselves in the form of an animal. These helping spirits can provide us, our family, our community and even an organization or country with power, protection and support. A power animal retrieval can help restore personal, family, community, and organizational power. In shamanic cultures, it is considered to be more healthy and beneficial to live a life with deep connections to our power animals. Power animals are one of many potential helping spirits that we enter into spiritual relationships with. If you experience frequent accidents, your family is in a funk, your community has a string of bad luck or your organization seems to be losing its ability to move forward in a positive and creative direction – these can all be situations improved by a power animal retrieval. As humans, and particularly in modern culture, it is common for people to lose power, give away their power and have power stolen. When we talk about power here we mean the ability to define yourself or having the energy to create. Without power, we have a hard time accomplishing anything – even the day to day tasks of caring for ourselves – let alone defining who we are. There are many ways to restore power and a power animal retrieval is one of them. 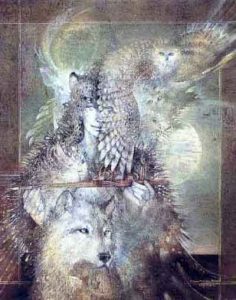 Through a power animal retrieval, you request a shamanic practitioner to enter the spirit worlds and retrieve a power animal on your behalf. You may also try connecting to a power animal on your own by spending time in nature and seeing who shows up, asking for a power animal to appear in a dream or through visualization and shamanic journey methods.I can teach you these if you wish. It is a process of empowerment through guided discovery. A journey to self and about self. Connect with those aspects of yourself that will enable you to more easily navigate life’s storms and enrich your daily ongoing life. Step into who you really are, find your true unique life’s purpose. The Lost Paradise: and how to reclaim the path. “Our early were much more fortunate than we are. Their camps were very close to the great silver birch which stands at the very centre of the universe and holds up the sky; whose roots lead down to all the halls of the underworld and whose branches stretch up to all the seven heavens. Since it was but a short walk to the Tree, it was a simple matter for anyone and everyone to climb to the heavens or follow its roots to the realms below. The marvels of heaven and the underworld weren’t hidden from our ancestors. Compared to us, they were like gods.